If there’s one Football Championship Series (Division I-AA) program that won’t sneak up on any Football Bowl Subdivision (Division I-A) team they face this season it’s the Howard Bison. After starting Head Coach Mike London’s era with a victory at the University of Nevada-Las Vegas in the largest upset in college football history to open the 2017 season, the Bison served notice that times have changed in Northwest D.C. This year they could be better. London has changed the atmosphere around Bison football which has been an inspiration for the athletic program and the university. Expectations haven’t been this high for Howard football for over two decades. With a roster of elite players, confidence, and the stern leadership of a coach who knows what it takes to win a national championship, Howard is poised to make a run at the Mid-Eastern Athletic Conference title. Howard is a young but experienced team with a roster whose talent has dramatically improved with London’s thumbprint on recruiting. They opened preseason camp with 65 true freshmen and sophomores, many who gained experience playing key roles last year. While London – the 2017 MEAC Coach of the Year – remains the face of the program, the personality is sophomore quarterback Cailyn Newton. Newton, brother of Carolina Panthers all pro Cam Newton, was the 2017 MEAC Rookie of the Year. He garnered headlines early last season because of his bloodlines and famous last name but the victory in Las Vegas served notice that Cam’s younger brother has game too. Newton is one of three Bison named to the 2018 Black College Hall of Fame’s Deacon Jones Award watch list. He accounted for 290 yards of total offense per game in 2017. Newton passed for 2,432 yards and 13 touchdowns but needs to improve on his 12 interceptions. Newton also proved to be dynamic in Howard’s rushing attack finishing second on the team behind all-MEAC tailback Anthony Philyaw with 753 yards and another 12 touchdowns. The Bison tandem of receivers is one of the best combinations in the MEAC and are a nightmare for defensive coordinators. Jequez Ezzard and Kyle Anthony are tough matchups for cornerbacks playing man coverage downfield or zone to try and contain them. Ezzard was first team all-MEAC in 2017 after emerging as one of the top deep threats in the nation averaging 26.3 yards per catch. Anthony, at 6’3’’ 215 pounds, is built like an NFL receiver and earned second team all-MEAC honors last year. The duo combined for 74 catches and 11 TD. The Bison have championship talent and a favorable conference schedule that doesn’t include two-time defending champion North Carolina A&T or Hampton, as they are no longer in the MEAC. Howard should be able to withstand opening the season against two FBS opponents – Ohio University and Kent St. from the Mid-America Conference. 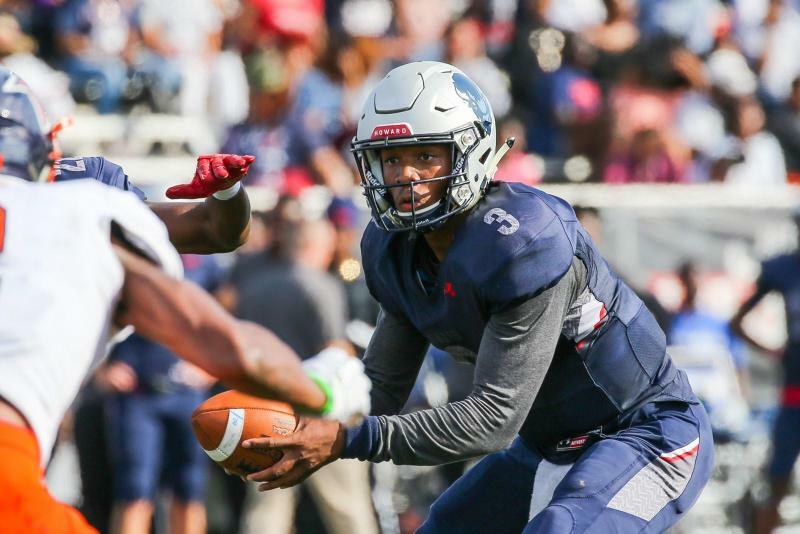 However, London wants Howard to play in more HBCU Classics such as the Circle City in Indianapolis where they face conference rival Bethune Cookman on Sept. 22. 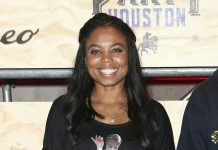 “It would be fun to play in more [HBCU] classics and be a part of the experience that goes with playing on national TV on a stage like that,” London said.